I used Storify for the second time, on this occasion not in the lead up to but during an event itself. Circus, the Festival for Commercial Creativity went into its second year and the organising Communications Council had again brought some heavy hitters in terms of keynote speakers and Big Thinkers. And outside the theatre a strategist would rub shoulders with a client, content producer, set designer, folk musician or a clergyman. Here is a nice summary of three of the speakers on CampaignBrief. What surprised me when using Spotify on the iPad was that it didn’t feel distracting but more like a new way of note taking. I was curating out of the stream of real-time tweets and pictures and added some background videos while at the same time listening to the presenters. And I like how you can draw in the people you curated by automating an @message with the Storify-link. 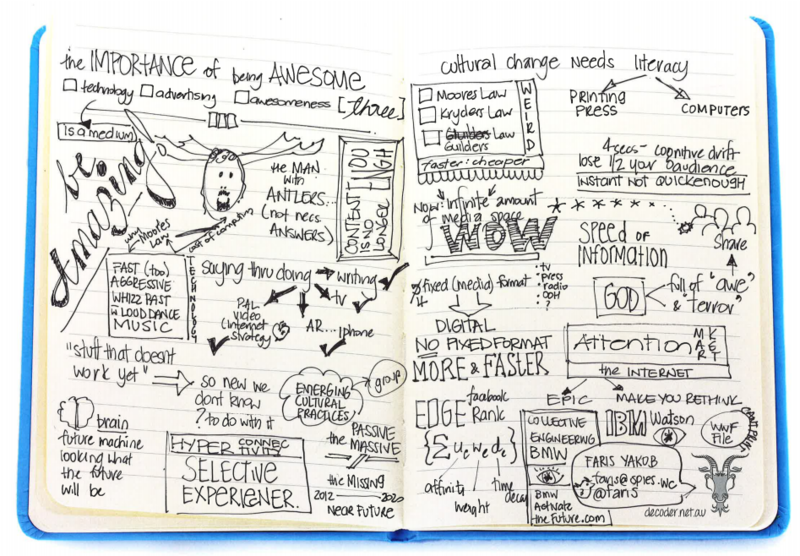 Have a read of my three days here and be sure to check out Decoder’s analog sketch-notes. I don’t know where Storify will go in terms of features, but a manual doodle/sketch section for creating images like the above might be nice. Follow Storify’s blog for updates here – fittingly all posts are Storify stories in themselves. 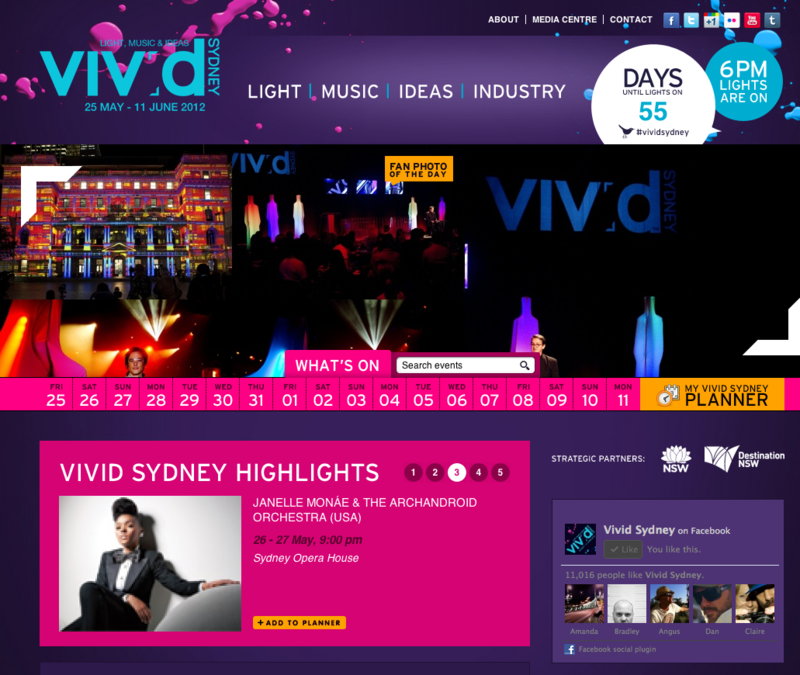 I will be sure to use it again at Sydney’s VIVID festival where MPU’s ‘Snake the Planet!’ will play a major role. That next time pictures and videos will surely feature a bit more in my Storify. This entry was posted in Advertising, art, Social Media, user generated content and tagged CarriageWorks, circus, communication council, Storify. Bookmark the permalink.